I wanted to download the description, screenshots, and icons from apps in from the Windows Phone store, which seemed quite easy initially, until I discovered that simply using WebClient to download the HTML from the webpage fired back an error: “Your request appears to be from an automated process.”, so, I had to think of a more ‘natural’ way to extract the data from the page, that’s when I remembered PhantomJS cloud, a hosted service for running PhantomJS, the headless browser software. If you’re looking at TcpClient to make HTTP requests, without totally exhausting the functionality of HttpWebRequest or WebClient, then you’re making a massive mistake. However, in my case, I had to deal with the case where a website required a cookie with a comma in it, which is against the HTTP protocol, and thus an illegal action when trying to construct a new System.Net.Cookie object, I was therefore forced to a lower level, and use TCP/IP to simulate my HTTP stream. /// Requests the specified URL. One new features of Windows Phone 8.1 is the FileOpenPicker, which allows you select any file from the phone, and even from skydrive (ahem, OneDrive). article refers to the SILVERLIGHT flavour, not the XAML version. FileOpenPicker opens, and is resumed when the FileOpenPicker closes. This is all to save device memory. In order to handle callback from the FileOpenPicker once the app resumes, then you have to override the OnNavigatedTo method, and check to see if the FilePickerContinuationArgs field has been populated. This was a horrible unhelpful message when I tried to reference a DLL to a Windows Phone 8 project, that I had downloaded off the internet. The solution is simple, find the DLL in windows explorer, right click on it, and select “unblock”. 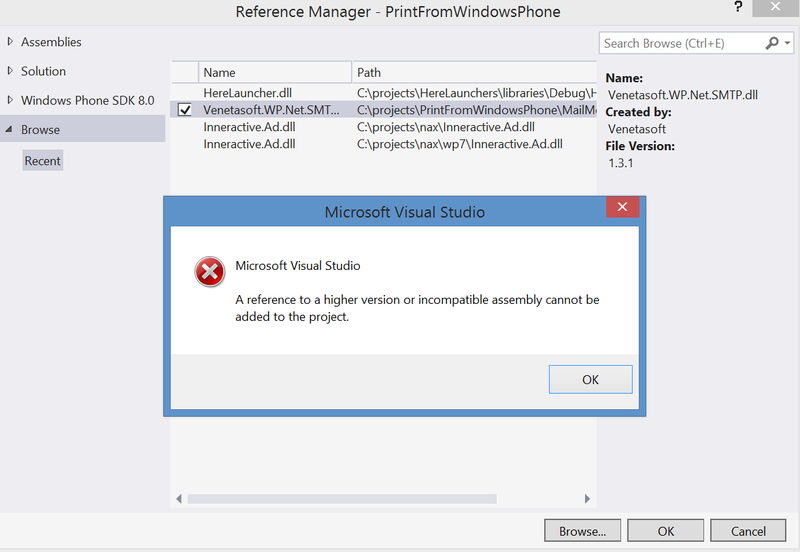 The same error occurred in a Windows Phone 7 project in VS 2010, but the error message was much more helpful, Great to see Microsoft going backwards. Create an account with us to set up your free 10Mb online print queue. Download our Print From iPad printer spooler for Windows PC. by your user. 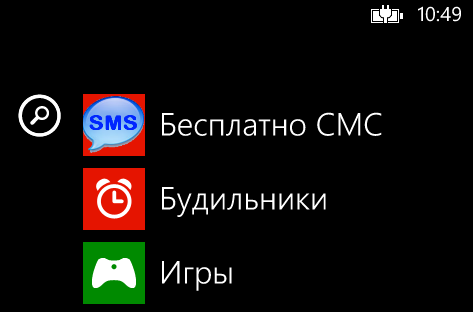 Therefore, my app “Free SMS”, should be written “Бесплатные СМС” in Russian. 2. Run WPAppResLib.exe Sample.exe, and a folder will be generated with a dll and mui files. Copy all these files into your project root, and in Visual Studio, select View all files (refresh), Include in project, and change the build action to content. 3. Test it by switching the language to French on the emulator, and the app title should change. // This code may be used freely, as long as this copyright notice is intact.